Every day, five to 12 euthanasias are performed at PVSEC, the region’s largest specialty and emergency veterinary center, seeing several hundred cases a day. The number of euthanasias is high because many pet owners cannot afford the complex medical intervention needed to save a pet’s life. “It’s hard when they know the animal can be fixed but the process can’t be paid for by the family,” Ms. Harbert said. “We see the sickest cases, so its hard for us as doctors and nurses everyday to see deaths. 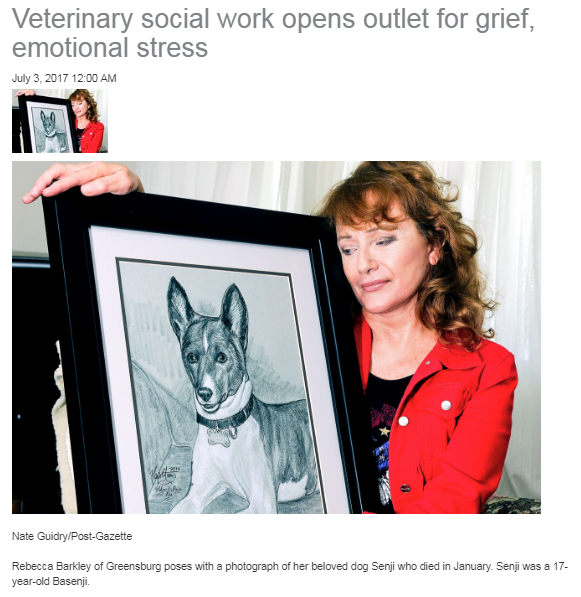 We are sad every time,” said Christine Guenther, a PVSEC veterinarian. As a result, some PVSEC veterinarians suffer from compassion fatigue, burnout and ethical exhaustion when trying to come up with an alternative way to save a pet, given an owner’s financial constraints. “You empathize so much with patients that you take on the burden and it takes a toll on you,” said Michael San Filippo, spokesman for the American Veterinary Medical Association.